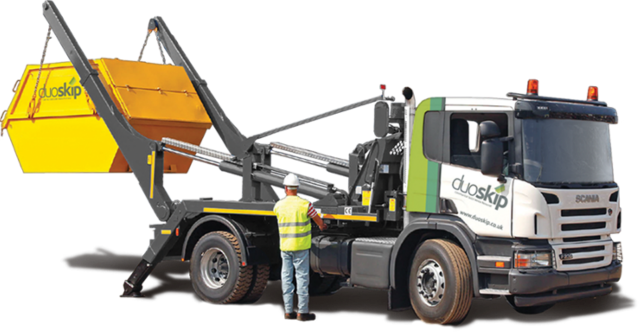 Duoskip is Aberystwyth’s longest established waste removal and skip hire service. We cater for large commercial waste removal projects, individual business waste and domestic skip hire. We are a fully licensed waste carrier so if you are thinking about skip hire call us today for a no obligation quote. 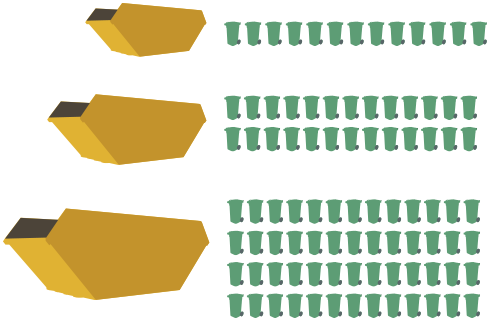 Filling Guide: How much can you fit in a skip? Q. How long can I keep the skip? A. The normal skip hire is for 7 days but this can be extended to suit your needs. If you require a permit for skip placement these can be arranged for a maximum of 28 days. For more advice call us. Q. What can I put in my skip?. A. Skips are for general waste, inert waste, wood, metal and builders waste. No Fridges, no TV's or monitors, hazardous waste which includes paints, solvents, liquids or asbestos. Due to weight restrictions, heavy waste can not be placed in the larger skips (12 yards and over). For more advice call us. If you would like more information, you have questions or would like to speak to a project manager please feel free to contact us. We are open Monday to Friday 8am to 5pm. Q. Do I need a permit for a skip? A. 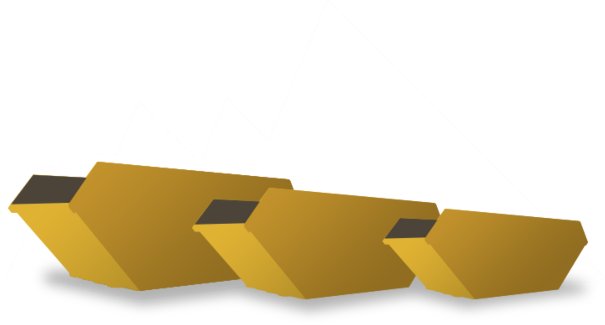 Permits are required by most local councils for skips that need to be placed on public land, including footpaths, and the roads or highways. For more advice call us. Also available are 16yd Roll on Roll Off, and 40yd skips. Duo Skip offers skip hire and waste removal services throughout South and West Wales.. We offer competitive prices, a next day service* and quality skips. 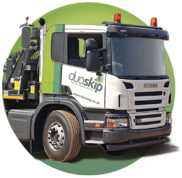 If you need to empty the garage, remove building or commercial waste then duoskip is the natural choice for skip hire in Wales. *When possible depending on skip availability. Copyright © 2013 Duo Skip Hire Ltd - All rights reserved.